Today marks the first day of Summer Break for my kids and while many kids are excited to not have to answer to a teacher until school begins in the fall, my kids won’t have that option. The structure my kindergartener had during the school was a blessing. I didn’t realize how much a creature of habit he was and how much he benefited from the constant routine was astounding. He is a worrier, so knowing what to expect did him a world of good and helped him grown in confidence and maturity. 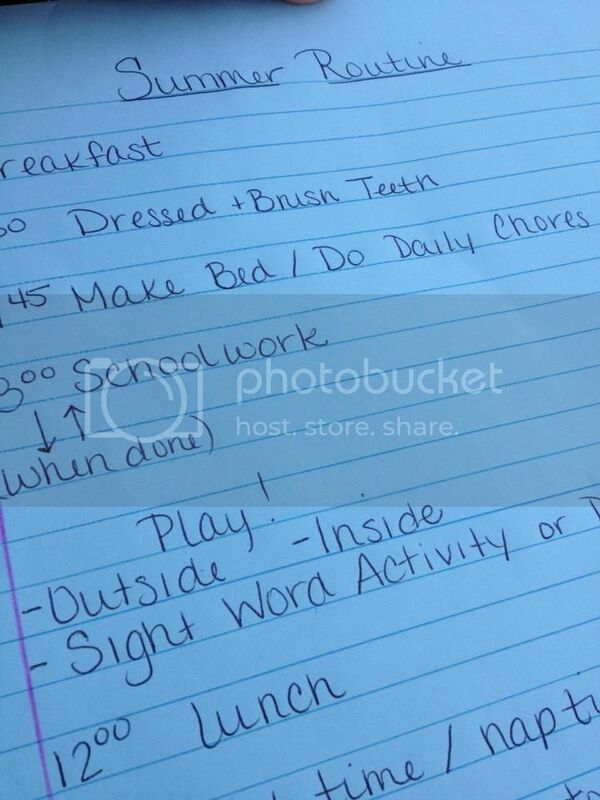 So this summer, my kids will be following a semi-strict schedule, similar to the school year. Every little detail of the day isn’t going to be mapped out, but things like getting dressed, doing chores, and doing schoolwork will be done at a pre-determined time. There will be plenty of playtime and downtime as well, and we will continue to run a tight ship from dinnertime to bedtime as we do year round. This way the kids will know what comes next, what is expected of them, and it will keep me from being lazy as well. Do you follow a summer schedule? How does it work for you and your family?